Be one of more than 25.000 athletes. The HASPA MARATHON HAMBURG is Germany’s biggest spring marathon and since 1986 the first one to paint the blue line on the roads. 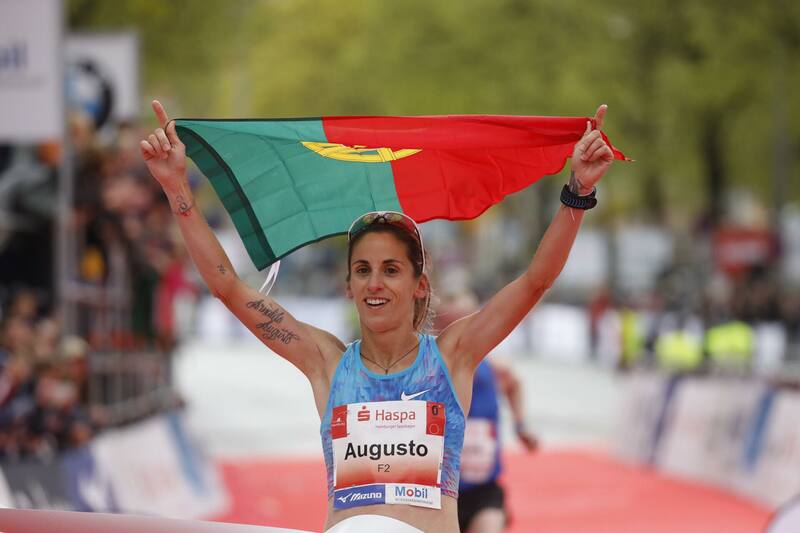 Hamburgcourse record is fast (2:05:30), the metropolitan city (1.8 million residents) lets the euphoric atmosphere spill over and carries you to the finish. Make this experience first hand and follow the Blue Line. The Start is located at the main entrance of the Hamburg Congress Center. 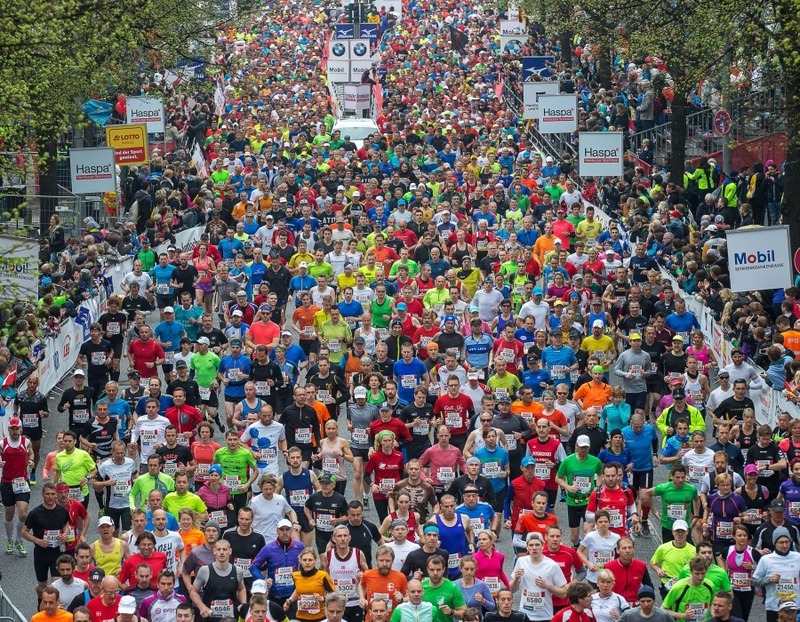 Reeperbahn – the athletes will then run along Hamburg’s sinful mile towards Altona. Elbchaussee: Following the western turning point in Othmarschen, the noble lbchaussee leads the runners back towards the Harbour, the Gateway to the World. Along the patriarchal St. Pauli landing stage, the modern Harbour City with the Elbe Philharmonic Hall comes into sight. After traversing the Wallring tunnel, the athletes are sent along the ungfernstieg on the Inner Alster through the heart of the Hanseatic city. Along the exclusive east bank of the Outer Alster the athletes move towards the Stadtpark – Hamburg´s green lung – which is located right next to the architectonically interesting North City. The last third of the course leads the athletes through Alsterdorf towards the northern turning point in Ohlsdorf. 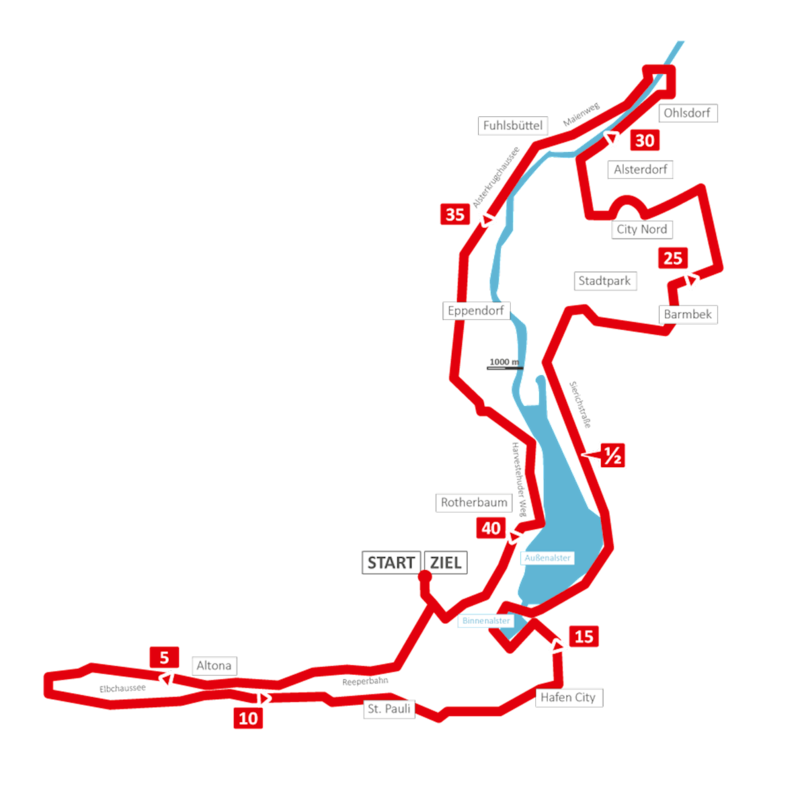 The route moves on to the “Witches Cauldron” Eppendorfer Baum: traditionally the athletes are cheered on by tens of thousands of frenetic spectators at this location. After a short visit to the west bank of the Alster the runners will reach the famous district Rotherbaum Made it! Finish at the Television Tower in front of Hamburg Congress Center.